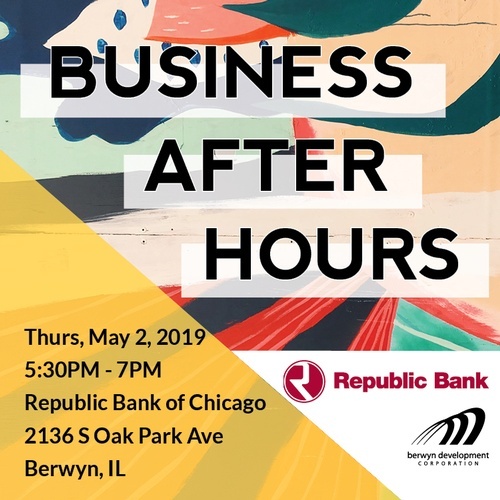 Join us for a Business After Hours (BAH) at Republic Bank of Chicago. Maximize your local network while enjoying small bites catered by Taqueria El Meson Express and complimentary drinks courtesy of Republic Bank! Republic Bank will also hold a drawing for a special surprise! Space is limited! Pre-register by May 1 at Berwyn.net > Events. Parking available on the north side of Republic Bank.